Every weekend, me and my running buddy are doing an LSD in preparation of our upcoming full marathon race in October. Last Saturday, September 6, we ought to have a 21K LSD run but unfortunately due to my buddy’s busy schedule, he rescheduled it the next day even we have a fun run to attend to. And as challenging and crazy always, Ino has planned to do a before and after run. Meaning?… I’m dead! 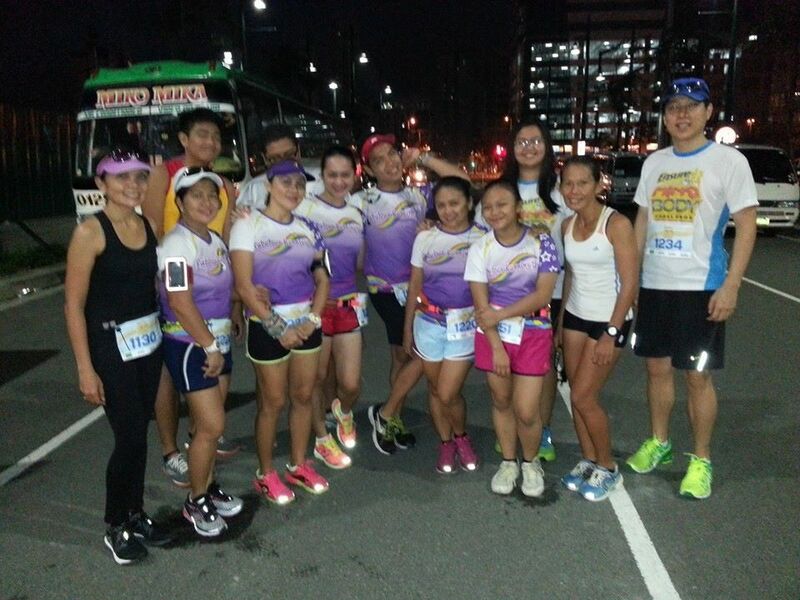 The gun time is at 5:30 but as planned, we started running at 4am from Makati Ave to the Turf. As his usual pace, fast, I cannot catch up due my empty stomach. I haven’t taken anything yet and I am not used in running with an empty stomach. My stomach is growling and I have no energy to burn. Upon entering the BGC, I ask my bestfriend if we can drop by 7-11 at South of Market to grab some food. I bought siopao and a bottle of water. I asked Ino if he want some but he resisted. He is not used of having breakfast before the run. You think we stopped there?.. No!.. I am eating while running. Maybe Ino was training me for an ultramarathon technique… eating while running to gain energy while not losing PR…hahaha. The usual routine of a race is warm-up before the gun start. 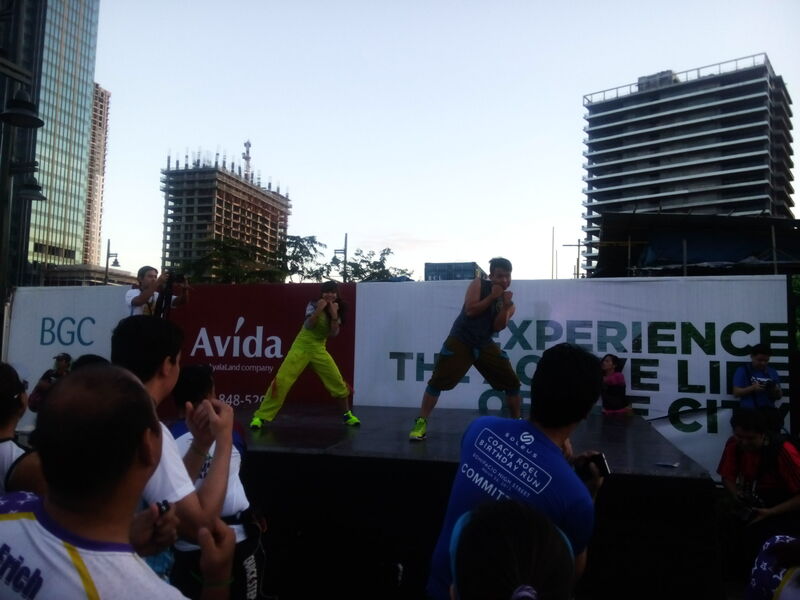 It was zumba time. My FRD friends were having fun dancing zumba and also Ino, but unfortunately I didn’t take clear videos of him dancing zumba as I was just pretending nothing is happening… hehehe. As I was having fun dancing the zumba, I didn’t notice the time. I thought the gun start is 5:30 but it’s already past that time. And the gun goes off for the 10K runners at 6am. My bestfriend started in his usual pace, fast and I should catch up but was tired already, so I was slower than his pace. The route comprises of challenges. 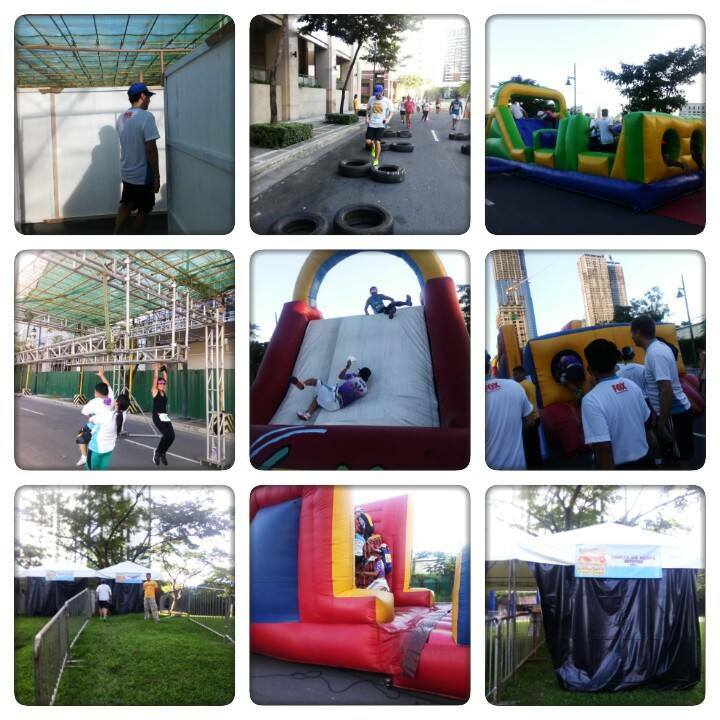 For the first kilometers, there are various inflatable obstacle courses. We entered one, you have to get through first to a hole then cross the inflatable diagonal bars. As I crossed the diagonal bars, I tripped and fell. Due to its bar flexibility and smoothness, I had a hard time standing. Ino was just watching me, not helping me to get up. He’s laughing at me… hmp! Luckily, one runner helped me. While running, Ino is not still getting over what happened to me. He’s still laughing and telling me that I looked ridiculous out there. “I hate you bestfriend”… hehehe. 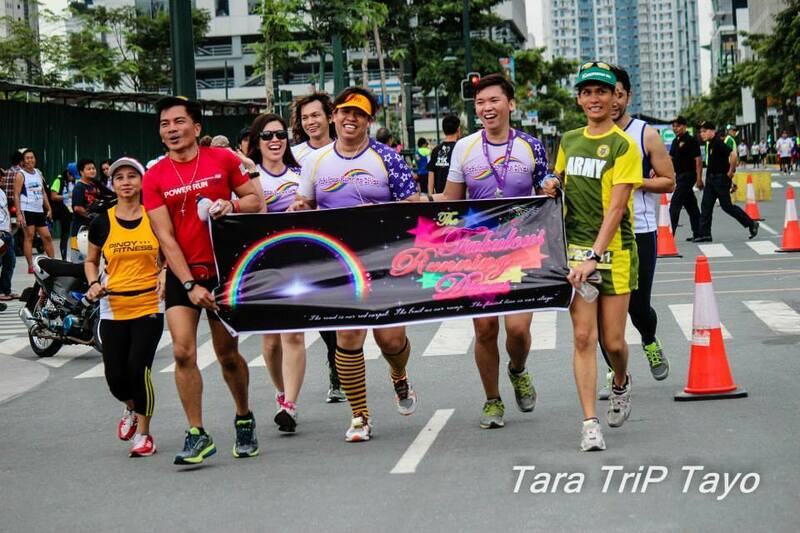 We ran the usual 10K BGC route which include my enemy route, the Kalayaan flyover. I was tired then when we crossed the flyover but Ino was always going back for me to pace me. 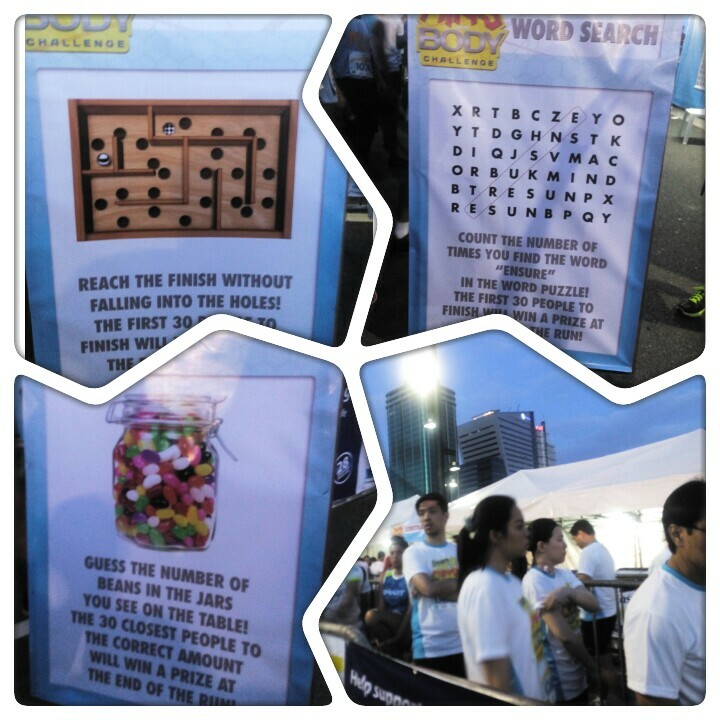 After the flyover, we reached the Mind Museum area, there is another obstacle, the tire run obstacle course. I told Ino that he should do the obstacles and I would be the one taking pictures. The tires are too small for Ino’s feet. Whenever he put his foot inside a tire, his foot get stuck… revenge! hahaha… As our run goes on, I noticed that it’s getting hot and I am thirsty but the hydration stations are situated way apart. There are also tents situated along the route which consist of brain challenges. There is a question posted outside the tent and you have to pick and enter the tent that you think has the right answer. There is also a monkey bar which is not too high as Ino need not to exert effort on reaching those bars. As we reached the last 500-meter mark, we passed by a maze which is not very challenging as we just follow the runners infront of us. As we reached the finish line, there is a long line. I thought it’s a finisher medal line but it’s a hydration station. At last, cold water! I was looking for someone to take out our bar code to check our chip time but no one is there. We are pointed to a line that we thought would be the verification line but it was where you get your loot bag. We linger a bit to check the booth but the place was too congested. Not that there are too many runners but the booth was squeezed in one road. And my buddy was disappointed not able taste any sample of Ensure drink as they run out of it. After that we just bid goodbyes to my FRD friends as we still have to run 5K to finish our 21K LSD run. As we continue our LSD, we run back to Makati. The sun was so mad as I was perspiring too much, making me weak and tired. I was doing walk-jog routine because my foot arch starting to hurt. 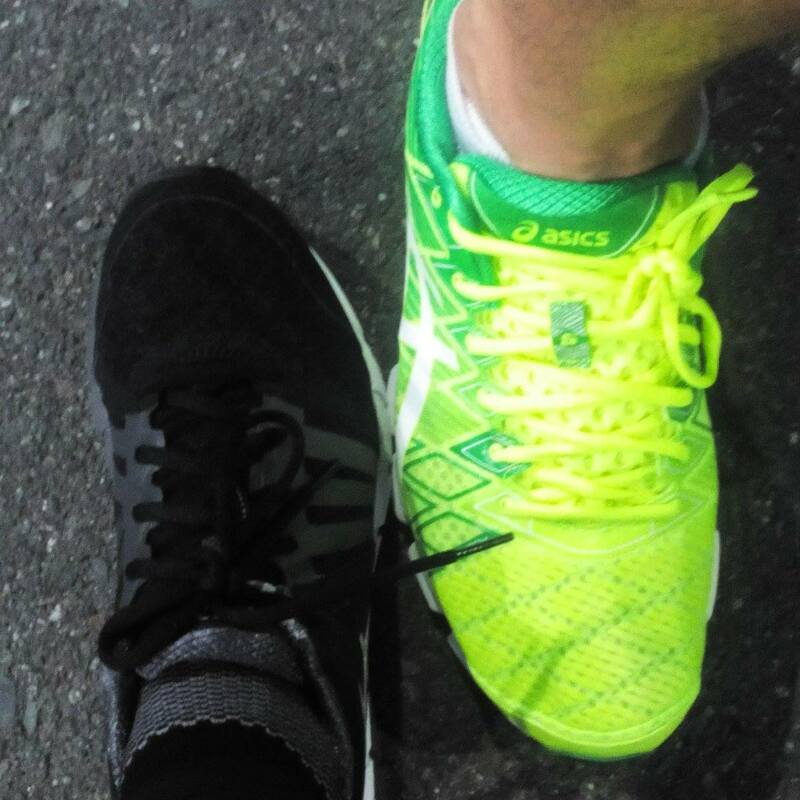 Maybe because my feet are still adjusting to my new running shoes as it’s my first time to try Asics. As we reached our so-called finish line at Ayala triangle, I was exhausted and I wanted to dip into an ice-cold bath. Nonetheless, we did enjoy the run despite of our various complaints. We are looking forward to another fun run like this. Blood and sweat trophy, literally. Yesterday, February 23, 2014, is one of our memorable run to date as it was our first finisher trophy as our reward for finishing the race. And it’s also a memorable moment for me as I almost didn’t finish the race. I was vomiting, feeling cold and disoriented that time but of course, hardheaded me prevailed. As my usual routine every night before my race, I prepared my things for the race. Checking all my gears, accessories and all my necessities for tomorrow’s run. I hit the sack at 9pm but unfortunately, I woke up at 11:30 as my housemates are still awake, chatting and watching television. Irritated, I forced myself back to sleep but I slept around 1am. My alarm woke me up around 2:30am. I was so worried as I didn’t have enough sleep and I am sick for the past few days. 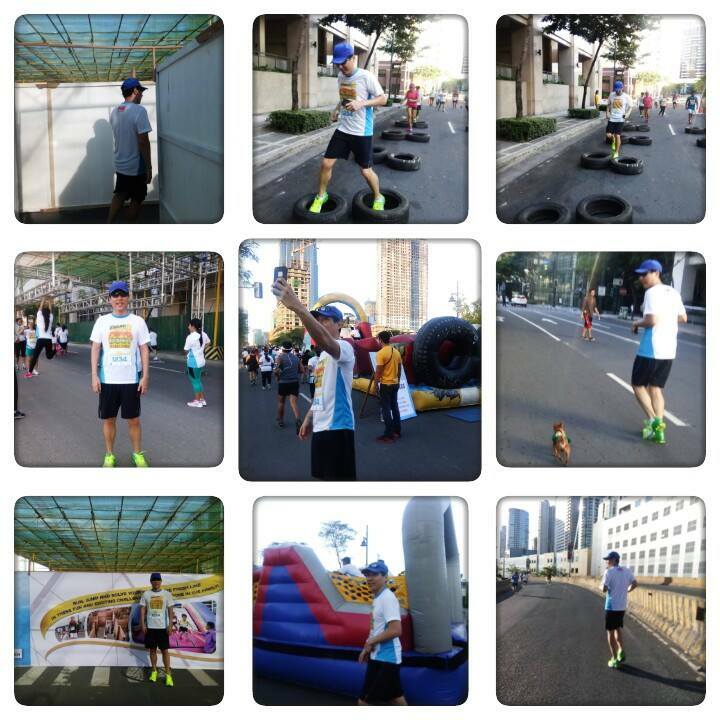 I did my usual routine in the morning, breakfast (instant noodles and banana) and putting my running gears. I called my kiddo, Cliff, to wake him up but he didn’t answer. He then sent a text message stating that he is not feeling well. Thinking that he will not join us I rush to BHS Fullybooked as it was our rendezvous place of my running buddy, Ino at 3:30 am. We met at exactly 3:30 and we rush to the site to be able to find a good parking place. I received a text message that Cliff will join us. I called him and told him where to meet. Before we left the parking lot, Ino told me that he will not bring his hydration belt. 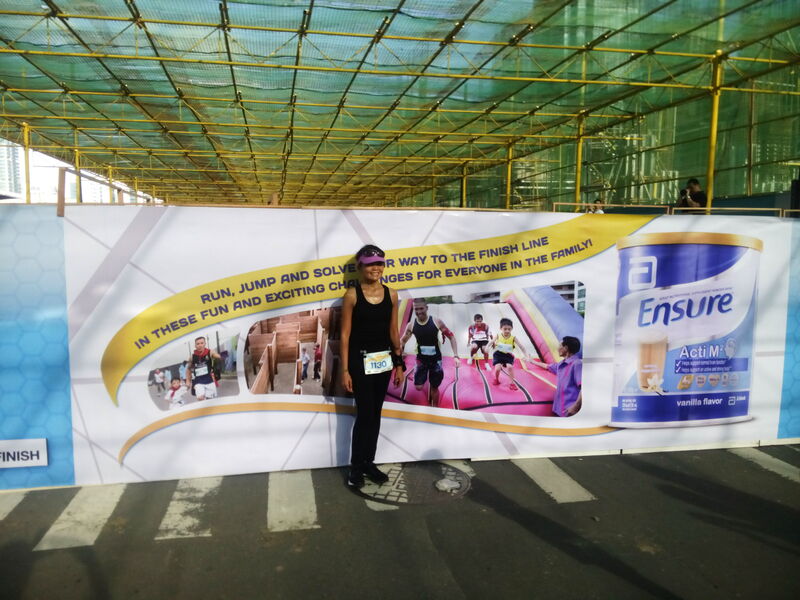 Then a thought flashed in my mind “Oh my, he will be lighter and faster, and he will drag me into that pace”… hahaha… As we are waiting for Cliff at the starting line, I bumped in to my first running buddy, Mark Montilla. He is the one who encouraged me into running and I was very thankful for him. Before the gun starts, Cliff arrived. 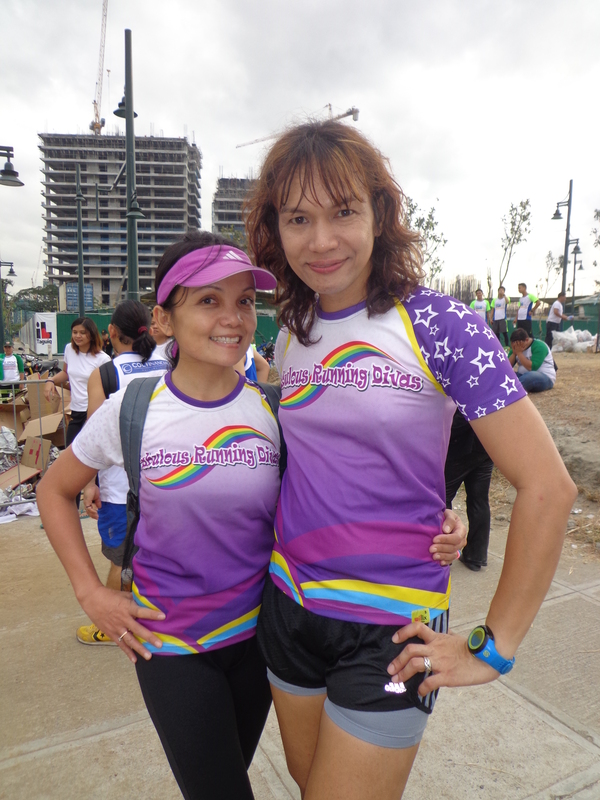 With my running buddy, Ino Lao before the gun start. The race started exactly 4:30. We first run along the usual running route in BGC. Ino, Cliff, Mark are in the same pace. But Ino was so fast as he left me and Cliff behind as he became faster. Along the University Avenue, Cliff then need to stop as his shoe tie got loose. Running alone, I set my playlist for motivation. I cannot see Ino and Cliff, they are so fast. When I was near the Net Square building, Ino called me and asked me where am I as he was already traversing the Kalayaan flyover and he told me that we will just meet at Buendia. Before, I was always nervous to run along the Kalayaan flyover due to hard inclined route but thanks to my buddy, Ino, as he trained me to run confidently along inclined planes. After the Kalayaan flyover we took a left turn along Makati Avenue towards Ayala triangle. I’m towards Ayala Triangle when I saw Ino coming through. He is so fast. I think he is in the first 100, we just waved hands. I am looking for Cliff but no sight of him at that time. As we make a U-turn at Ayala then turn left towards the Buendia SLEX, I felt unusual. My stomach was growling, hyperacidity strikes. I ignored that, thinking that I am only hungry and told myself I already took an energy gel so it will be okay. But along Buendia, my feeling got so unusual as I started vomiting. I feel cold and my hand are shaking. I ignore it again, I just took a sip of water and then pour a lot to my head but it didn’t work. I continue to vomit, I stop and walk. I tried calling Cliff but I think he didn’t hear the ring. Then I called Ino asking where he is and I am not feeling well. Worried, he told me to take a U-turn but I don’t know what did I say to him as I was feeling disoriented. In one of the hydration station in Buendia, I felt someone grab my arm, it was Ino asking me if I am okay. He told me that I am too cold and pale and told me to ride an ambulance. I said “no, I want to finish the race”. He told me “you have no choice, you have to stop”. I told him “I want a trophy”. He told me that to sit at the sidewalk and he will just finish the race and come back to me. But I don’t want to just sit along the gutter to wait for him. I promised and told him that I will just walk and finish the race. He agreed. Of course, I’m hardheaded, I ran again but a little slow to my usual pace. I saw my running friends, Mary ann and told me to keep safe. I told her that I can manage and Ino will be back. 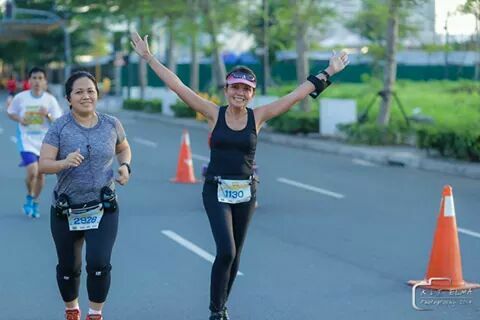 As I was traversing Buendia, I prayed and asked God to give me more strength and I am confident that He will let me finish the race. Ino was calling me every now and then to be sure I am okay. 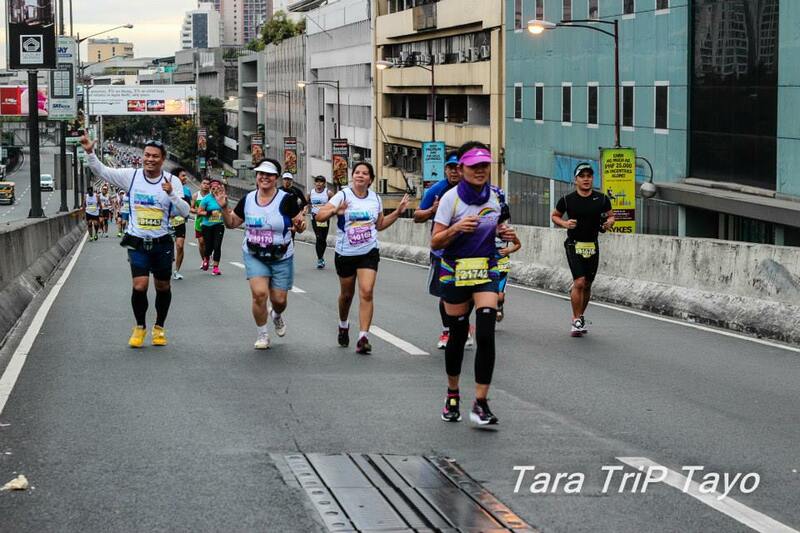 When I reached Kalayaan flyover, Ino called me to tell me that he already finished the race at 1:56… Wow! He did it! and I am so proud of him. He asked me where am I. I told him I’m already at Kalayaan flyover and he told me that he will run back to me. I received a text message from Cliff asking me where am I and told him that I am still in the flyover. When I reached the Net Square building, Ino called me and asked me where I am, I told him that I am a block away from Track 30. He told me that he’s near the Kalayaan flyover and he realized that he just passed through me, maybe he is too worried and just rushed towards me not recognizing me along the route. When I was in the Track 30, I saw him coming from my back. Gosh, he’s fast. He ran along with me, making sure that I am doing okay. We then took a left turn towards the finish line, I saw my running friends shouting my name and cheering for me, “go Redg!”. As we reached the last 100 meter, I told Ino not to cross the finish line again to avoid altering his PR data. He told me that he don’t mind, he has his own PR but when we reached the last 10 meter, I told him to just run along the side and just meet at the end of the finish line. I try to make some sprint to test my energy and I did. I still have energy, ha-ha! We then meet with Cliff and we then take pictures to our precious finisher trophies. Yeah, it’s so precious. I almost did not get it. Thank you Lord for the keeping me strong and letting me finish the race despite my condition. Thank you also to Ino for all the support and making me sure that I am okay. Thank you buddy. I owe you one. Confidently traversing the Kalayaan flyover. Thanks to my running buddy for the training. 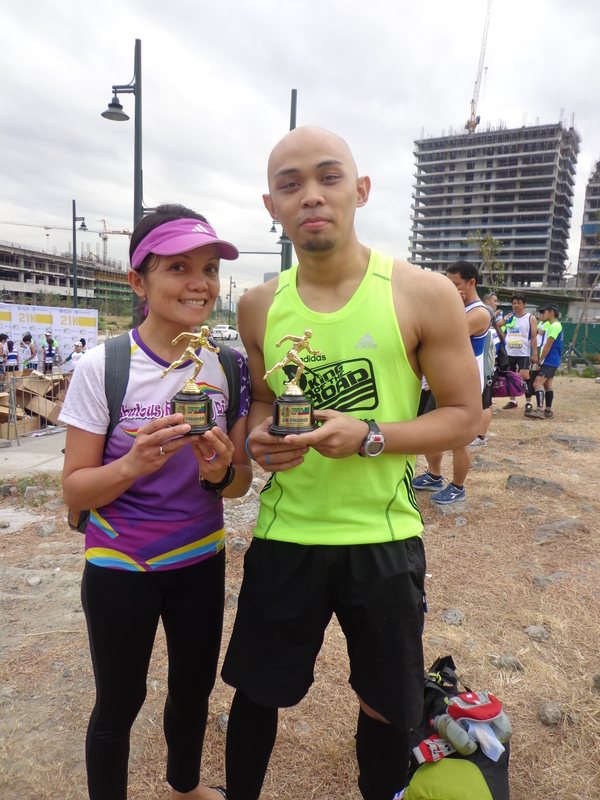 Proud with our first finisher trophies… precious! 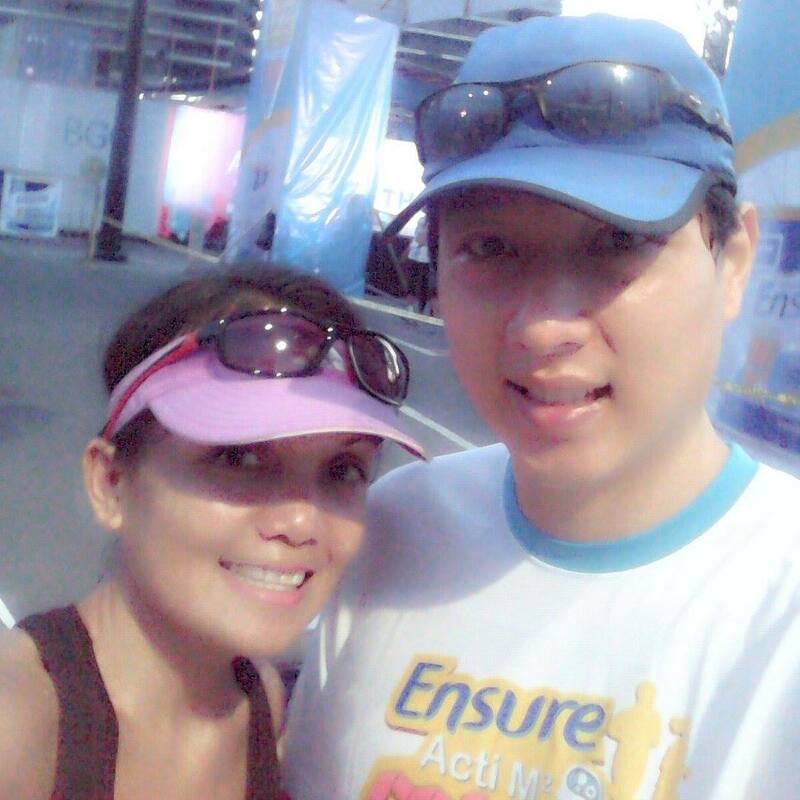 Bumped in with my first running buddy, Mark David Montilla. He is the one who put me into running. Thank you bruddah. 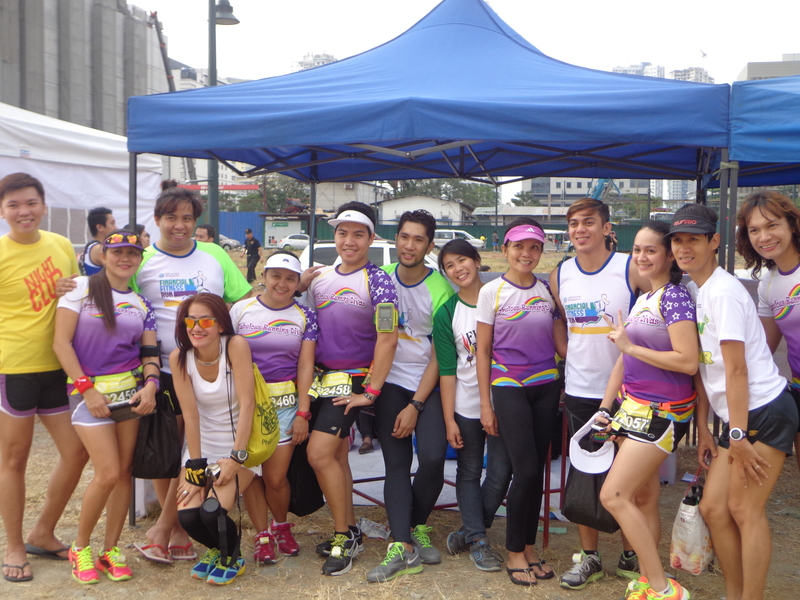 The first 21k adventure of my diva friend Allan “sweet” Cabiltes with the Fabulous Running Divas as his entourage. Finishing the race taught me few things… Know your body… Believe in yourself… Will power… Guts… Perseverance… Trusting the Lord that with him nothing is impossible and thanking him for giving me supportive and precious friends. 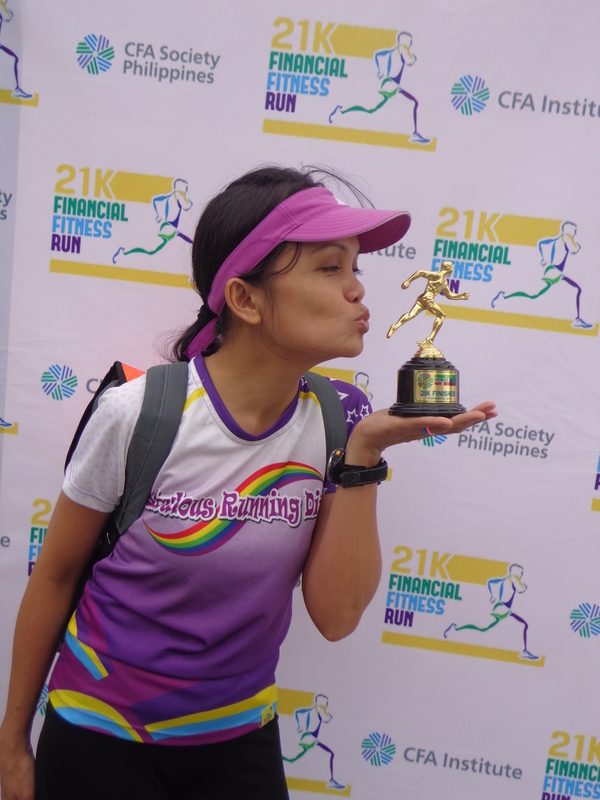 With my finisher trophy… Got yah!